BEIJING, Dec. 31 (Xinhua) -- The purchasing managers' index (PMI) for China's manufacturing sector came in at 49.4 this month, down from 50 in November, the National Bureau of Statistics (NBS) said Monday. A reading above 50 indicates expansion, a reading below reflects contraction, and a reading at 50 indicates no expansion or contraction in manufacturing activity on a monthly basis. NBS senior statistician Zhao Qinghe said intensified international trade friction and slower global economic growth partly affected China's manufacturing PMI in December. The sub-index for production edged down from 51.9 in November to 50.8 in December, while the sub-index for new orders dipped from 50.4 to 49.7 during the same period. 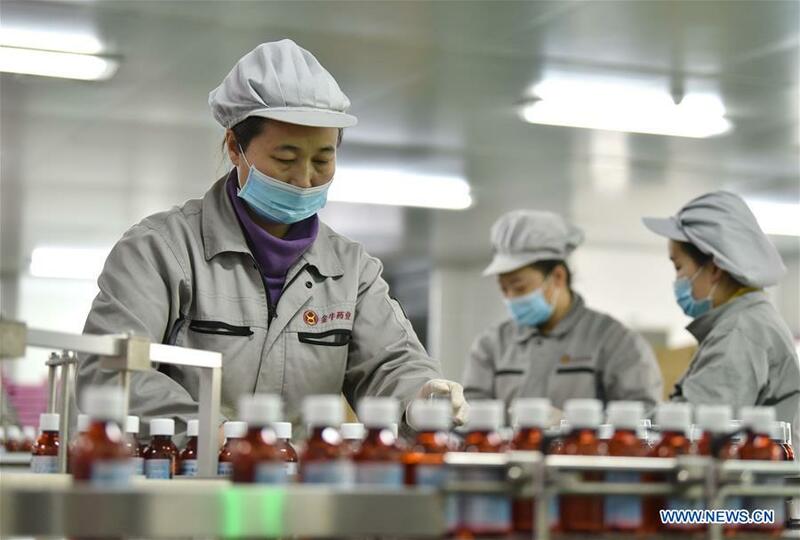 Zhao said China's manufacturing PMI averaged 50.9 in 2018, showing the manufacturing sector, in general, maintained growth. Monday's data also showed that China's non-manufacturing sector remained steady in December, with the PMI for the sector standing at 53.8, up from 53.4 in November.